Which type of campervan rental vehicle to choose for NEw Zealand. The great New Zealand road trip! There’s nothing like experiencing the ultimate freedom in your little home on wheels for a few weeks. 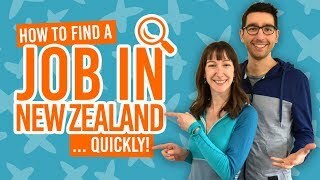 Because New Zealand is such an awesome road tripping country, there is a huge choice of campervan and motorhome rentals out there. But how much freedom you truly experience depends on what type of rental camping vehicle you get in New Zealand. So which campervan rental vehicle is right for you? Your budget, features, where you want to park up your campervan to sleep for the night, and how the campervan is like to drive all needs to be taken into consideration when deciding which campervan rental vehicle is right for you. We’ll go through all those points in the article below. In the vehicle specifications below, we’ll go through the amenities you’re likely to find in each type of campervan rental in New Zealand. However, it’s unlikely that you will need to pack too much as campervan rentals in New Zealand come with a lot of inclusions. Make sure you always check before hiring the vehicle. Frying pan, saucepan, kettle, chopping board, etc. Find out more about what’s included in campervan rental vehicles in New Zealand in What is the Best Type of Vehicle to Rent in New Zealand? The most budget-friendly option is the “campercar”. (That’s it’s unofficial name but we think that’s the best way to describe it). Expect to pay between NZ$30 – NZ$160 per day. While there are a number of factors that determine the price, the main one is the time of year that you hire it. The cheapest prices can be found during the shoulder and off-season in New Zealand. The campercar, which sleeps up to two people in a double bed, is as compact as it gets so comfort should not be a priority when choosing this type of campervan rental. These vehicles are designed for using the kitchen amenities, which usually include a gas cooker, sink and cold water tank, while you are stood outside, but are usually cleverly designed with folding bed into seats with a inside table. (However, the novelty of this soon wears off and most travellers end up leaving it in the bed position). Note that most campercars are non-self contained, meaning you cannot legally use these cars to freedom camp unless you go to one of the limited freedom campsites that all non-self-contained vehicles. For this reason, you will most likely be sleeping in this campercar in paid holiday parks and DOC campsites with facilities. These types of accommodation usually come with kitchens/food preparation areas, toilets and running water. Because of their smaller size, campercars are considered the easiest type of camping vehicle to drive. They drive just like a normal car and often come with automatic transmission. You won’t experience a lean like you would on taller camping vehicles when you go around corners and parking will be a lot easier too. What’s more, on the ferry crossing between the North and South Island, you will only be charged the price of transporting a car across the Cook Strait unlike if you had a bigger vehicle. As a van modified with living amenities, the campervan is compact with most of the basic features you would look for in a camping vehicle. 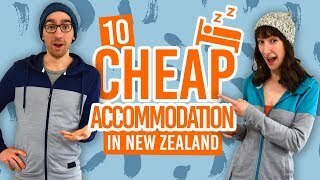 Depending on time of year and choice of vehicle and company, expect to pay NZ$100-$220 per day for campervan rental in New Zealand. Find out how to save money with 20 Ways To Save Money on Car Rental in New Zealand. This is where features get more varied between rental companies, but campervans tend to have all the basics you require for living in during your time in New Zealand, such as a fridge, double bed, power outlet to holiday park hookup, internal kitchen with sink, water tank and gas cookers. Some campervans may have a cassette toilets paired with water and waste water tanks meaning that it is likely to be self-contained. While some vans only fit up to two people in, others fit up to four people in where another double bed is fitted in the upper section of the van. Layout of the campervan may be changeable, for instance transforming the bed into seating with a table. If your campervan is a certified self-contained vehicle (with a toilet and water storage) then you are able to freedom camp up to two or three days in public areas. Be sure to look up if there are any freedom camping restrictions in each area you plan to visit and you can find out more information on our Camping section. If you’re using power in your campervan, you are likely to need to charge it every three days by hooking up to a power outlet in a holiday park. Expect to pay between NZ$20-50 for a power site in a holiday park. You can also park up in accessible DOC campsites which usually have an affordable fee and have basic facilities. Many campervans in New Zealand have been built with an extension on top of the van, which means you’ll experience a lean when going around corners, so take it easy. Usually with a 2L to 3L engine, they will get you around at a cruising speed but don’t expect to be overtaking vehicles often or going uphill too fast. Campervans are relatively easy to drive, often driving much like a car. You just need to be aware of the slightly more extra space. A more luxurious and roomy option for two people, the 2-berth motorhome is a larger van size. Expect to pay around NZ$120 per day in the shoulder and off-season in New Zealand and around NZ$450 per day in the summer. Be aware of any added costs such as one way fees or the cost of doing the ferry crossing by checking out How Much Does it Cost to Rent a Car in New Zealand? These larger campervans have been designed to carry and sleep two people with plenty of space. There are usually options for one double bed/two single beds, internal kitchen with fridge, gas cooker, microwave, hot and cold water, waste water tank, toilet, shower and power supply. It is likely that you will be able to transform the bed into a seating and dining area. It is highly likely that a 2-berth campervan of this size is certified self-contained therefore you are able to freedom camp in public spaces apart from where there are restrictions. Be aware that you may need to charge the power supply every few days so you may stay in powered sites in holiday parks to plug up to a power supply. You can park up at any vehicle access campsite and pay the fee. As these type of 2-berth motorhomes tend to be up to 7.20m long, you need to be a lot more aware of the space you are taking when parking. However, as a 2-berth motorhome, they take up as much width as a normal car on the road and are not as high as other types of motorhomes, making them the easiest type of motorhome to drive. Most of these rental 2-berth motorhomes are automatic transmission so are similar to a car to drive. However, you are likely to see age restrictions on motorhomes, with many rental companies requiring you to be over 21 to drive these vehicles. Find out more in Age Restrictions When Renting a Vehicle in New Zealand. 4 to 6-berth motorhomes are the largest types of campervans you can hire in New Zealand under a normal driving license. They provide the ultimate luxury and space in the rental motorhome world. With that, they are also the most expensive, being between NZ$120 to NZ$450 depending on which season you hire it as well as other factors. Once again, you can check those factors on How Much Does it Cost to Rent a Car in New Zealand? However, because you can fit more people in these vehicles, usually four to six people, the price can the split. These larger 4 to 6 berth motorhomes have the most space therefore the most room for a variety of layouts between vehicles. While some have two double beds, others have three double beds or the option to split into single beds. The inside is likely to fold between beds and a seated dining area. There will also be a shower and toilet room with hot and cold water. There will be an internal kitchen with a fridge, sink, water storage and water waste, gas stove and gas oven. There will be storage for luggage, power supply and often a few added extras such as a bike rack. These vehicles will always be self-contained meaning you can freedom camp anywhere for a couple of nights where freedom camping in allowed. You will need to plug up to a power supply on occasions to charge the power in holiday parks, where you can find more information in Accommodation Guide to Holiday Parks in New Zealand. You can also camp in any other vehicle access campsites, such as DOC campsites. Find out more in. Although those with a standard driving license are able to drive these large motorhomes, they do take some getting used to if you don’t often drive large vehicles. The typical dimensions are L: 7.20m x W: 2.4m x H: 3.25m so you need to be aware of where the vehicle can fit as well as how much space you take on the road – particularly around corners. Motorhomes are not renowned for their speed so expect to take things easy on the roads and let other vehicles pass you when it is safe. With most motorhomes having automatic transmission and being easy to drive, the maneuvering is what you will need to get used to quickly.